California is a holiday destination with everything - from ski peaks to sunny beaches, national parks to theme parks and cool cities linked by some of America's best road trips. Our family has loved hiking in Yosemite, exploring Lake Tahoe and Alcatraz and seeking the thrills of LA - and some of the best food and wine Stateside. California is a dream destination for families – there’s so much to explore, so many exciting activities to enjoy and some of North America’s most awe-inspiring beaches and National Parks. Where do you start? Our knowledgeable team can tailor-make a bespoke road trip for your family. With expert knowledge on the best routes and drive times, we will ensure you get the most out of your holiday. A fly-drive holiday is the most popular option with a spacious SUV vehicle rental with fully inclusive insurance, family-friendly hotels and resorts each night and well-researched route maps so you’ll have plenty of time to enjoy each place rather than simply racking up the miles. Here are some suggested itineraries to inspire you. 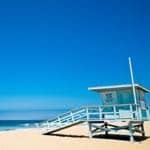 The most popular choice is our eight-night California Classic road trip from San Francisco to Los Angeles via the iconic Route 1. 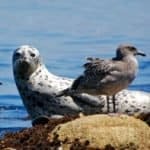 Highlights include the Santa Barbara Zoo, Mandalay Beach (great for whale-watching in summer), Monterey Bay and Disneyland in Anaheim. The California and Pacific Coast self-drive trip takes you from San Francisco to San Diego via the Big Sur, Monterey Peninsula and LA. Take a trip around the homes of movie stars, a boat trip to Alcatraz, chill out in Santa Barbara, ride the San Francisco trolley cars and head off for some hiking, biking, kayaking, Segway touring or surfing. A boat trip from San Diego to spot dolphins, whales and sea lions is a highlight. 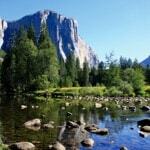 Enjoy the great outdoors on our Experience San Francisco, Yosemite & Lake Taho self-drive tour. 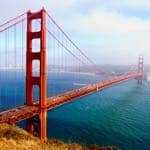 Starting and ending in San Francisco, you will stay on Lake Tahoe, go river-rafting in Yosemite National Park, cycle across the Golden Gate Bridge, take a foodie tour of Chinatown, drive through the Sierra Nevada mountains and dramatic Tioga Pass and visit a Gold Rush ghost town. California lends itself to a motorhome holiday too, ideal for more independent families. Let our expert team create your perfect California holiday, adding on a longer stay in Anaheim or an add-on trip to Hawaii, Las Vegas or even New York. Check out our full range of family holidays in California.